The companies concerned are the intermediaries set up between copyright owners (authors, songwriters) and service providers. Collecting societies are responsible for distributing and licencing musical, literary, academic and journalistic material and collecting royalties. Among the best known are SACEM in France, PRS in the UK and SABAM in Belgium. In 2010 collecting societies accounted for 80% of revenues in the music industry, which itself was worth an estimated €6 billion. The EU executive said it wanted to end bad practices in the sector, such as the late payment of royalties to rights holders, or bad investment policies that can “swallow some of the royalties”. “The functioning of some collecting societies has raised concerns as to their transparency, governance and the handling of revenues collected on behalf of right-holders," the Commission said. “Cases of risky investment … highlighted the lack of oversight and influence of right holders on the activities of a number of collecting societies, contributing to irregularities in their financial management and investment decisions,” an EU press statement read. Under the terms of the legislation, collecting societies would be required to report their financial dealings in an annual transparency report and set up databases to keep better track of their own repertoire. Right holders would also have a direct say in the management of their rights, be remunerated more quickly and have complete freedom to choose the society that best fits their purposes. Standardised norms across the EU would allow for more efficient multiterritory licencing, and common ‘mechanisms’ to settle copyright disputes would be set up, the Commission said. Collecting societies would be given 12 months after the financial year in which a track was played to pay royalties – or about half the time companies currently have in many countries. “All companies … should ensure timely payment to creators for their work, and should have transparent working methods”, said Michel Barnier, commissioner for the internal market. Musicians, however, say the draft law would only release a tiny fraction of the royalties they are owed and do nothing to unlock royalties made from gigging, clubs and private copying. "It is time that the money collected in our name reaches the rightful author in a timely manner instead of being spent on marble car parks," said Kelvin Smits from the artists' lobby Younison, which represents big names like Pink Floyd, Radiohead and the Dutch DJ Armin van Buuren. Kea European Affairs, a Brussels-based consultancy firm specialised in the creative industries, said smaller collecting societies had expressed concerns on the impact of the new rules, which were already in practice for larger societies. These organisations, Kea said, were "vital to the European creative sector, guaranteeing solidarity among European creators and promoting cultural diversity." 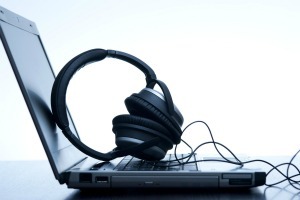 The consultancy said that the proposal to unify legislation amongst European countries "does not solve the problems which arise from direct licensing in the digital environment", namely the extremely long amount of time that service providers had to wait to license the repertoire of record labels, adding that high transaction costs faced by service providers in rights clearance was "hampering the development of innovative online music services in Europe." Music copyright should enter the public domain 50 years after a recording was originally made. In 2008 the European Commission adopted a proposal to extend copyright terms to 95 years. In 2009 significant moves were made at a European level when former EU Commissioner Charlie McCreevy and the European Parliament began backing an extension to 70 years. The current proposal is not the first European attempt to address the shortcomings of collective licensing practices. In 2005 the EC had already issued a Recommendation that triggered the withdrawal of the Anglo-American repertoire of the major publishers from collective management organisations and the creation of new entities providing multi-territorial licenses. Different decisions taken by the European Competition authorities have also scrutinised the practices put in place by collecting societies. It’s about time the EU did something about these imperios collecting societies that make a mockery of the single market. Go Barnier!